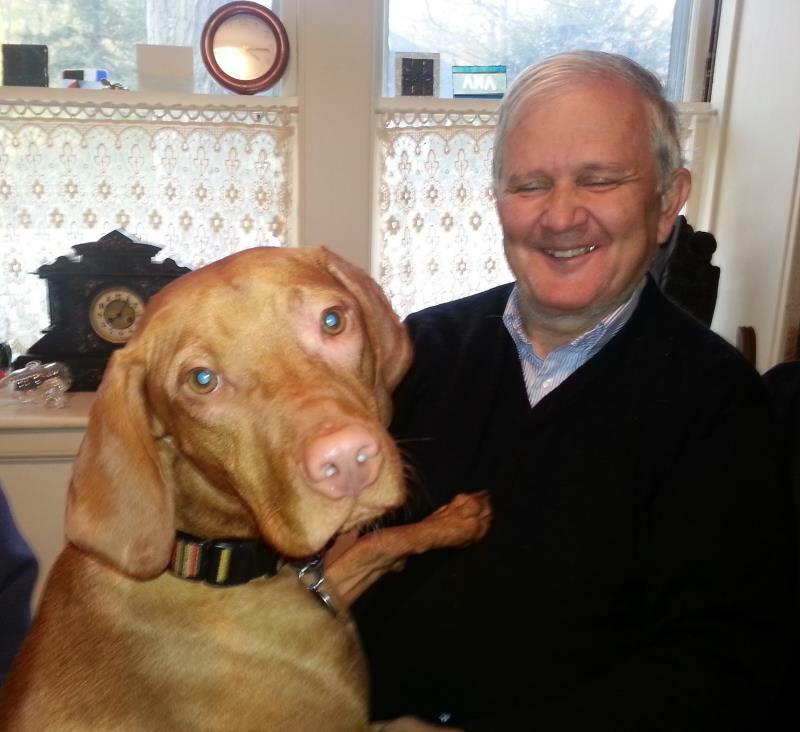 I've always loved dogs, as my official campaign mascots, Walle and Darwin, two active Vizslas on Pine Ridge Road, Waban, can confirm. My previous campaign mascots included Samantha, a lovable Basset Hound from Dickerman Road in Newton Highlands, and Carl and Audi, German Shepherds of Dorset Road in Waban. My Grandmother's Cocker Spaniel, Penny was one of the delights of my childhood. I always smile when I see my neighbors walking their dogs down Chestnut Street to the dog park on the lowest level of the playground. I take the concerns and needs of dog owners seriously. However at the time of the consideration of the Braceland Park in Newton Upper Falls, I, and other residents were concerned that a few non-compliant dog owners might not control their dogs from the parking lot to the dog-park going past the very active playfields of the park. I'm delighted that the dog-park in Braceland Park has been successful and I have not received a single compliant about it. My dog friend, Leo, from Quinobequin Road has found many playmates there. I hope that successful implementation of dog-parks will continue to be carried out in the City of Newton. I believe that off leash dog-parks are good utilization of our open space resources but the key to making them a long term success is by balancing the needs and concerns of dog owners and non-dog owners when sharing our public spaces.